Certain foods can have a huge impact on our energy levels – good and bad. Stay away from energy-draining sugary foods and pack your day with protein instead. For additional healthy snack ideas, check out this article from Whole Living. With excited coworkers and weekend plans being made, it might be hard to focus. Do your best to avoid interruptions while tying your loose ends from the week. Put your cellphone in your desk, close out your email and put some headphones in to drown out the activity around you. Starting projects on a Friday is not always ideal, so instead, get yourself organized and set up for the coming week. Write out your prioritized to-do list, locate materials you will need and tidy up your workspace. Doing this is not only a productive use for your Friday, it’s also a great way to set yourself up for a successful week. It’s all too easy to fall into the trap of whining and complaining about a hard week, but it’s Friday! Let that go and keep a positive attitude. TGIF, right!? Have an additional tip? Please share! 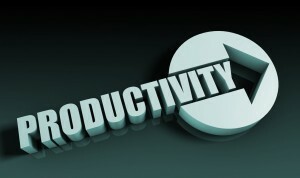 This entry was posted in Clients, Currently Employed and tagged productive Friday, productivity, productivity tips. Bookmark the permalink.